Last Plant: 2,000 lbs. of Rainbow Trout Friday November 30th. Next Plant: 1,500 lbs. of Rainbow Trout Thursday December 20th. Water temperature: At surface 60.62 f., 6.59 D.O. @ 10’ 60.80 f., 6.51 D.O. 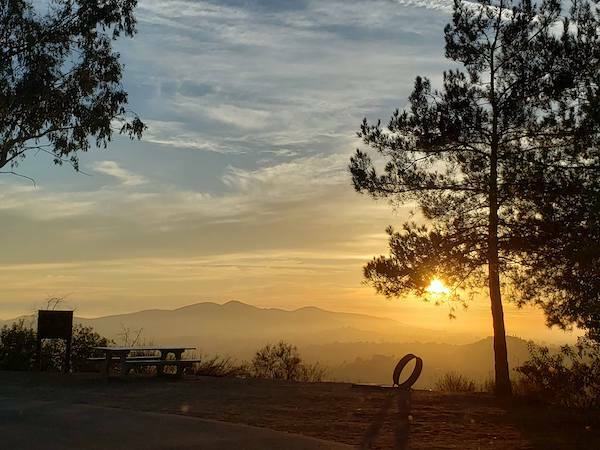 The Dixon Lake Trout Derby was a success. With well over 1,000 permits sold in three days the fish didn’t stand a chance. 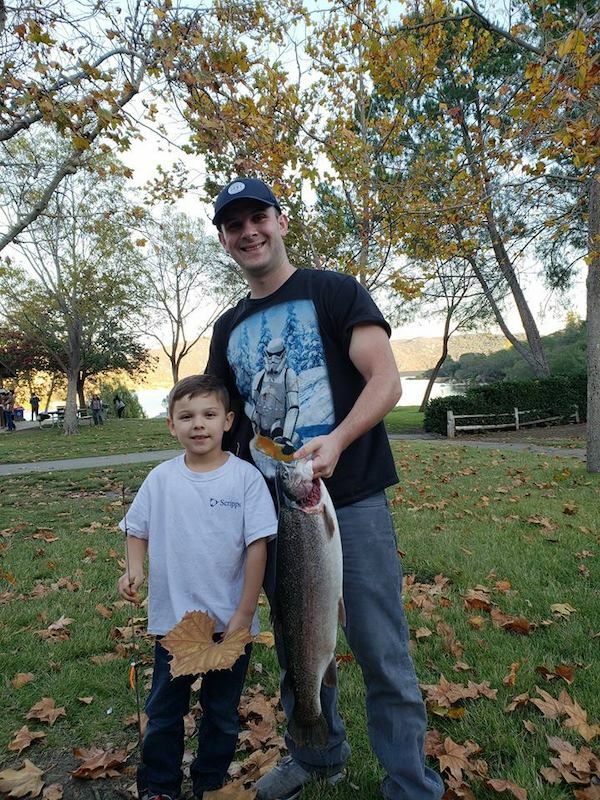 The first two days of the derby were strongly productive with a 10.4lb Trout being brought in by Jimer Carambas, our grand prize winner. Trout season is here! With numerous people catching their limits before mid-day in both Trout Cove and Jack Creek areas early in the season it was hard to believe it swung the other way after the derby. With no stock until December 20th the fishing will slow and people will have to resort to different fishing methods. The people on boats are producing while trolling and fishing near the Buoy Line. Shore fisherman are making things happen in the morning hours near Pier 1&3 and Trout Cove. Green & yellow power bait, mouse tails, power worms, and small jigs are proving to be the go to baits in these beginning weeks of the season. Kastmasters and Thomas Buoyant lures are working first thing in the morning. The Catfish bite has picked back up due to the rain and recent trout stocks. The productive areas have been Trout Cove and Jack Creek Cove in the early morning and late afternoon before closing. 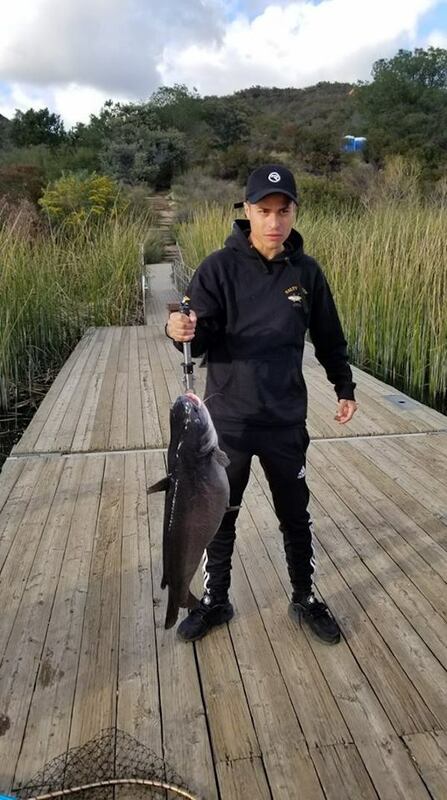 Kevin Alba and Phil Du were able to pull in some monster catfish this past week from Pier 3. Bluegill have slowed down and pushed into deeper waters. Mealworms, and cut up night crawlers have been good choices for catching blue gill in the past few weeks with the majority of them being caught in the early morning and afternoon hours. The Buoy Line is producing large size fish at this time. Bluegill are limited to 25 of any size at this time.